Wow it has been a crazy month packed with traveling, creating, learning, meeting new people and seeing some old friends. I am truly blessed to be doing something I love! And 80 technique's later I am Ranger Certified! 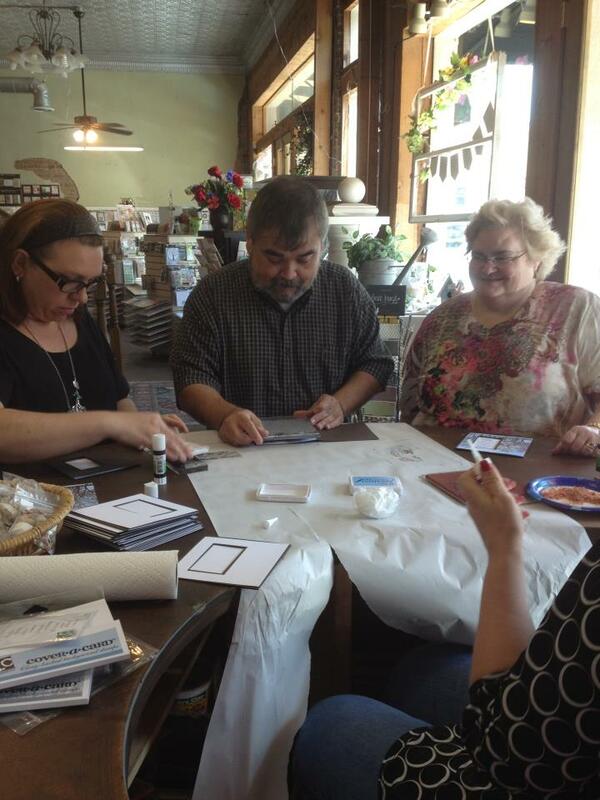 Thank you Tim Holtz, Claudine Hellmuth, Dyan Reaveley, Mario and everyone from Ranger for an fantastic experience. As soon as I got back, the next day it was full speed ahead on the finishing touches for NSD Weekend. 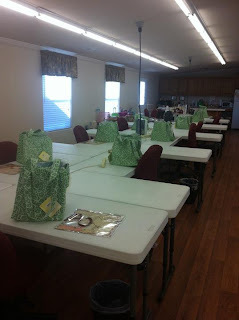 Not only did we host 30 women on a 4 day retreat we also had a 14 hour crop at the shop. A BIG thank you to MaryLou, Karen and Susie for running the crop at the shop. Sometimes people come into your life, and you know that they are a friend for life, that is Dyan. The next day started her workshops! When I went to open the door, I found several excited students. Thank you so much for coming to our little town in Texas, we miss you already! It wouldn't have been a visit without the famous teeth! 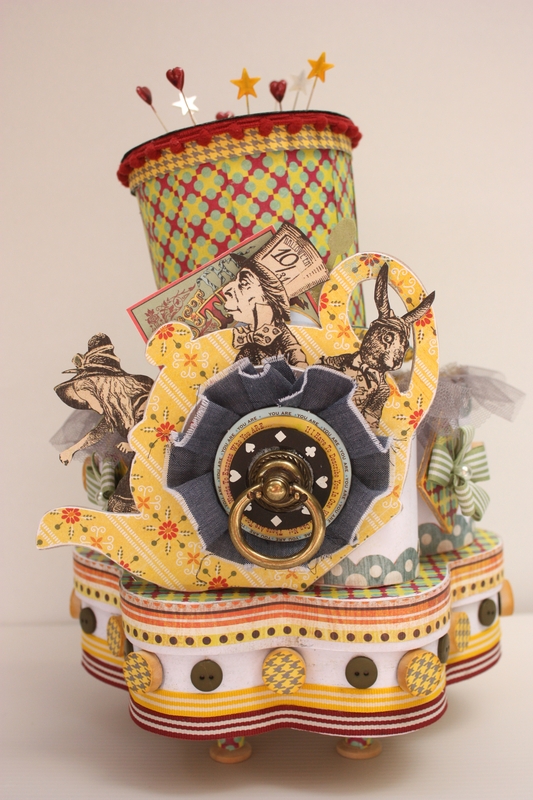 We are pleased to announce Artistic Journey 2012 brought to you by The Crafty Scrapper. This event will feature 3 of Maya Road's talented design team members who are set to inspire you to try new techniques, and learn new things on your Artistic Journey. This year we are raising the bar with classes that will challenge you artistically, and, for the first time ever, we are bringing in an International Teacher! Thank you so much for making our 2011 event such a success. 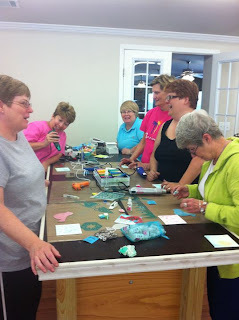 Sign-ups begin for Crafty Scrapper Customers on May 16th, 2012. When Is The Event Scheduled And What Will You Get For The Price? 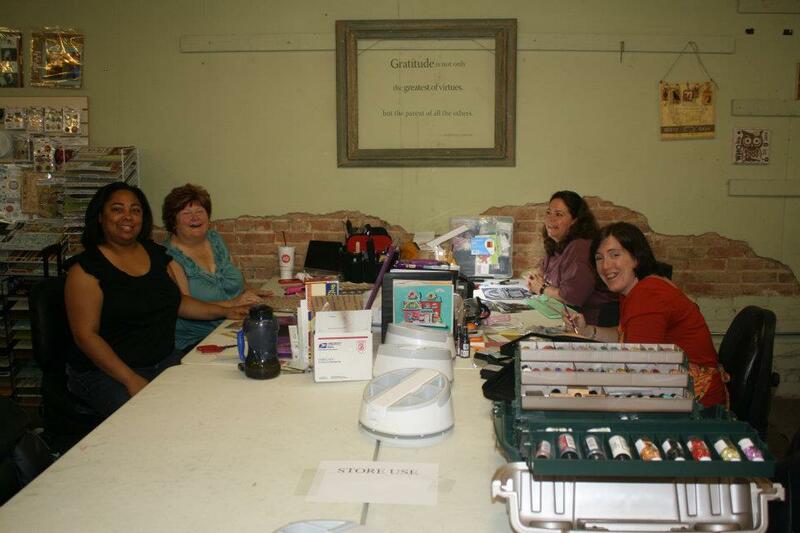 The Artistic Journey will begin on October 5th (around 2 pm) and end on October 7th (around 3 pm), 2012 at the home of The Crafty Scrapper in Waxahachie, TX (approximately 30 minutes south of downtown Dallas). 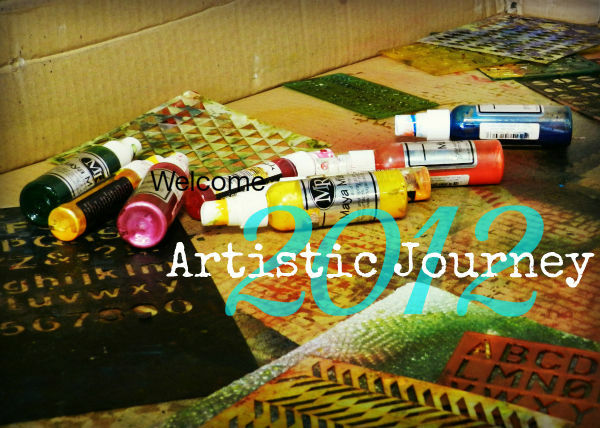 Cost of the Artistic Journey 2012 is $295.00. When Do Sign-Ups For The Event Start? General registration will take place in person or over the phone registration will on May 16th, 2012 at 10 am. There are 80 slots available. Spaces are available on a first come, first serve basis. The phone number to call is 972-923-3151. Please have your credit card, address and email address ready at sign up. Please also let us know at sign up if you have food allergies. We will start a waiting list if there are more than 80 people interested in attending. We will offer a payment plan this year - the first $150 is due when you call to sign up to reserve your spot; the balance is due on August 1st, 2012. If for some reason you cannot make the event, you are welcome to sell your ticket. Please let us know the details of the sale ASAP so we can make sure they are on the list. If we have a waiting list, we will try to find someone to fill your spot. If we do find someone, we will refund your money for the event. We cannot guarantee a refund unless there is someone who can fill your spot. Who Are The Maya Road Teachers Coming To The Event? We are pleased to have Dina Wakley, Lisa Pace and Angella Peardon join us for this event. Each teacher brings a unique style and will show you how to transform Maya Road into your own memories. Read on for the teacher bios to learn more about them! Each of the Maya Road designers teaching will be sharing a very special project that they have created especially for this event. 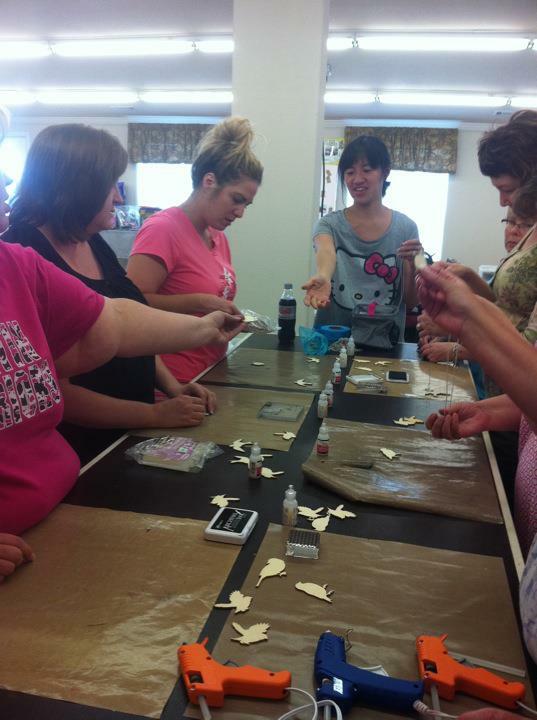 Each teacher will share some tips and ideas with you to make your own Artful Memories with Maya Road products a success! We will be sharing a peek at the projects during upcoming updates. We decided to keep this event small as we wanted each person to get individual attention from each of the teachers. Each of the classes will have only 26-27 students. The classes will be taught at either The Crafty Scrapper crop areas or at a nearby location that you can walk to from the store. What About Accommodations and Travel? Attendees are responsible for their own travel arrangements to the event. If you are flying, you can fly into the Dallas Fort Worth International Airport (DFW) or Dallas Love Field Airport (DAL). Both are located about 45 minutes from The Crafty Scrapper. All attendees are responsible for their own transportation to and from the airport, hotel and store. We have made special arrangements with The LaQuinta Inns and Suites in Waxahachie, TX. Rooms are only $79/night plus tax and includes free hot breakfast, wifi and more. Accommodations are the responsibility of the attendees. You can book the hotel by calling them directly and mentioning you are with the Crafty Scrapper AJ Event. This price is good through August 30th, 2012. The hotel is located about 3 miles from The Crafty Scrapper. The tentative event schedule is as follows; you will get a schedule of your class/location when you sign in. Can You Tell Us A Bit More About The Teachers and Classes? Of course! Let's start off by meeting the teachers and seeing some projects they have done in the past. 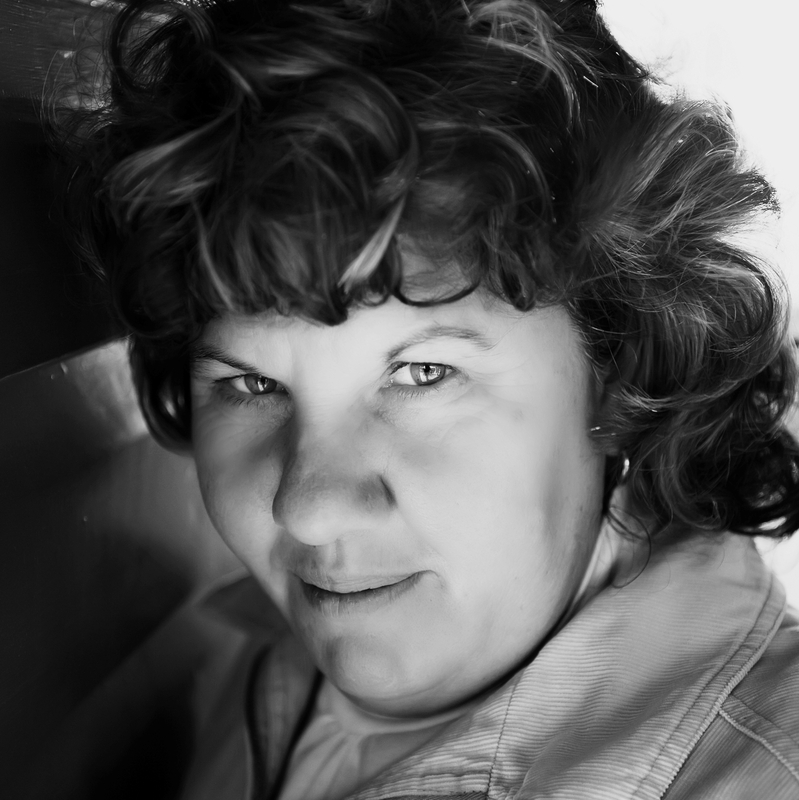 Dina Wakley lives Arizona with her husband and three boys. She love everything about art...making it, talking about it, teaching it. 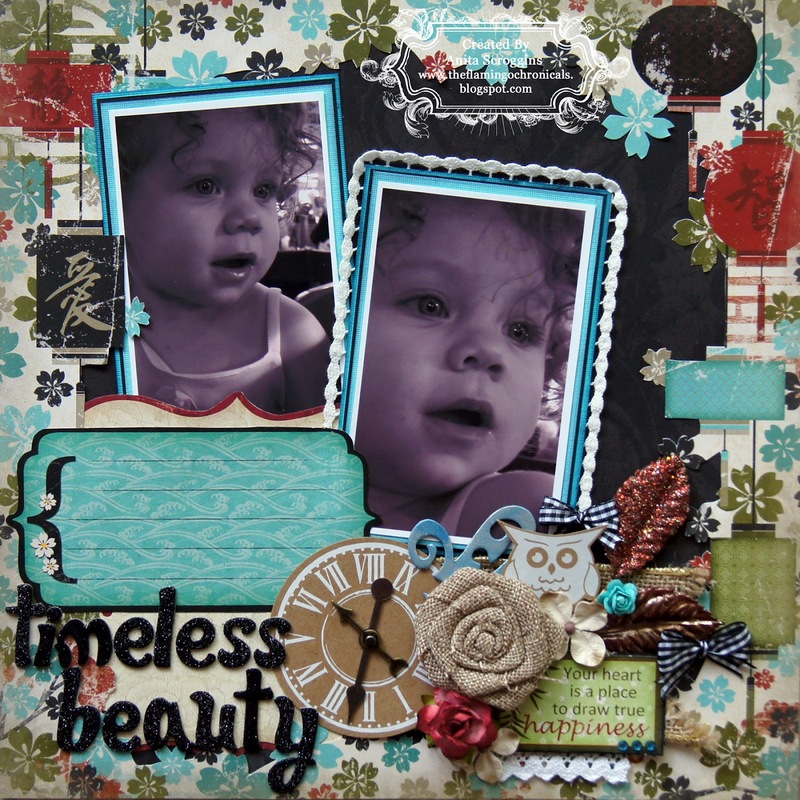 Dina discovered scrapbooking in 1995. 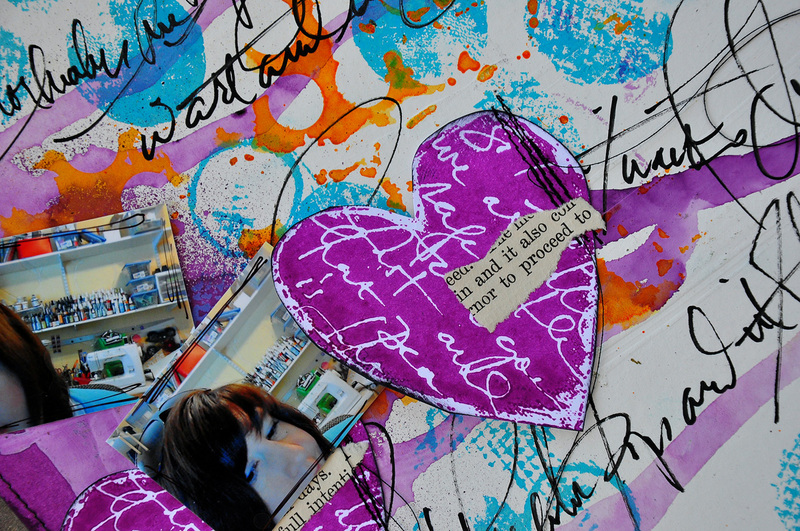 Scrapbooking led to stamping, which led to collage, which led to mixed-media and art journaling. Dina is a docent at the Phoenix Art Museum, where I give school kids tours of the museum and get them excited about art. You can find my online classes and blog at http://dinawakley.com. 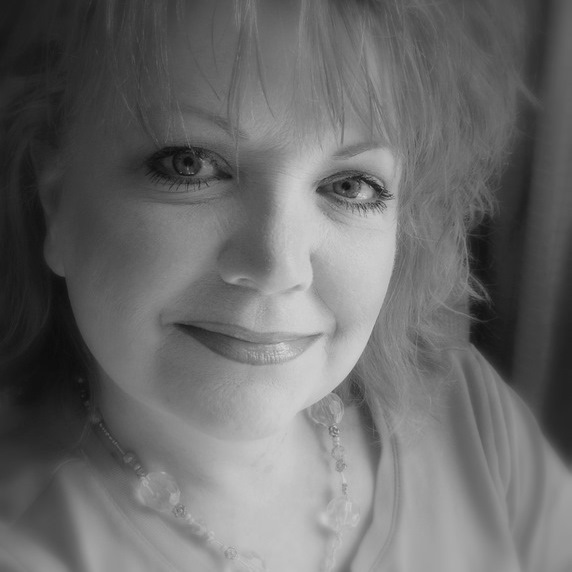 Lisa lives in Frisco and has been on the Maya Road design team since 2007. Her first book, “Delight In The Details,” was published in January of 2010 by North Light Books and her sec­ond book “Delight In The Sea­sons” also by North Light Books/F+W Media Inc. was pub­lished in Jan­u­ary 2012. 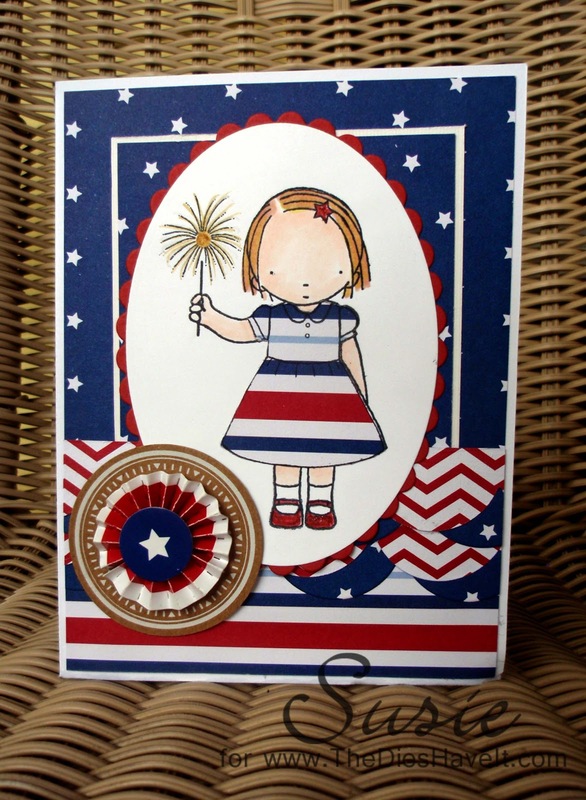 In May of 2007, Lisa was picked as one of 5 master scrapbookers in Martha Stewart’s scrapbooking contest and August of 2007, was chosen as a 2008 Memory Makers Master. 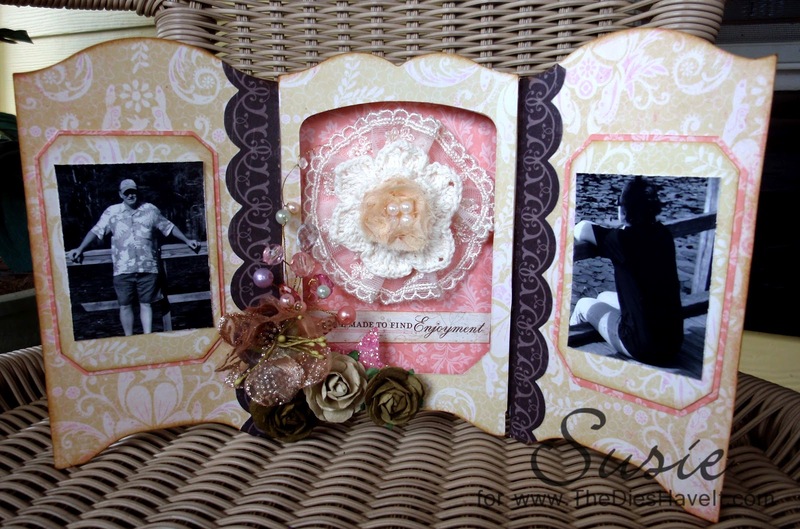 Her work has been published in magazines such as Memory Makers, Scrapbooks etc., Better Homes and Gardens and Scrapbooking & Cards Today as well as numerous idea books like Holiday Home, Scrapbook Trends, Paper Trends, Paper Creations and Scrapbooking & Beyond. Each of the teachers will be bringing their style of work and incorporating it into a 3 hour Journey where you will learn new ways of working with Maya Road products along with other products. 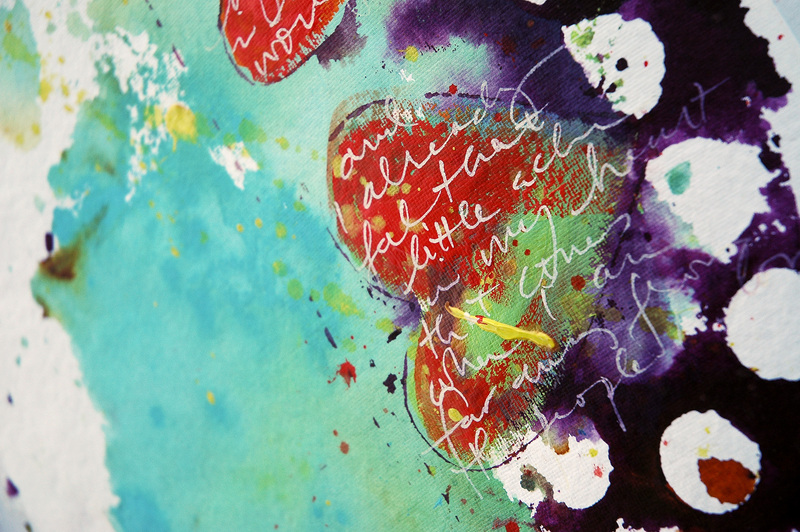 They will share with you some tips and tricks to make your Artistic Journey a success. Peeks of the classes will be posted about 1.5 to 2 months before the event. The sample images of their projects should give you an idea of their unique styles and designs. The class they design will be unique to Artistic Journey 2012. 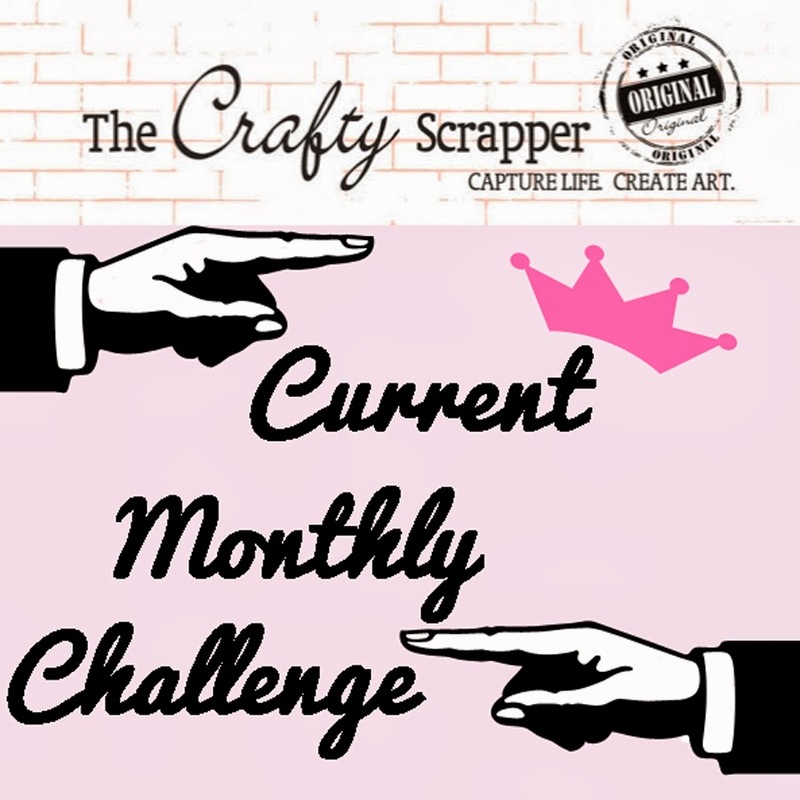 What Can You Tell Me About The Crafty Scrapper Store? 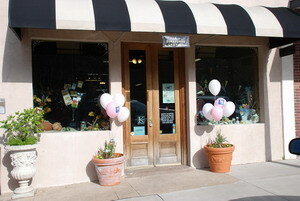 The Crafty Scrapper is located in beautiful downtown Waxahachie, Texas. The Crafty Scrapper has been around for 6 years and has over 4200 square feet of scrapbooking, stamping, mixed media, metal and soldering goodness. We try and cater to all types of crafters with a plethora of unique classes. As one of Maya Road's biggest fans, we have an extensive selection of Maya Road products perfect for your Artistic Journey. Feel free to call the store at 972-923-3151 or send us an email. 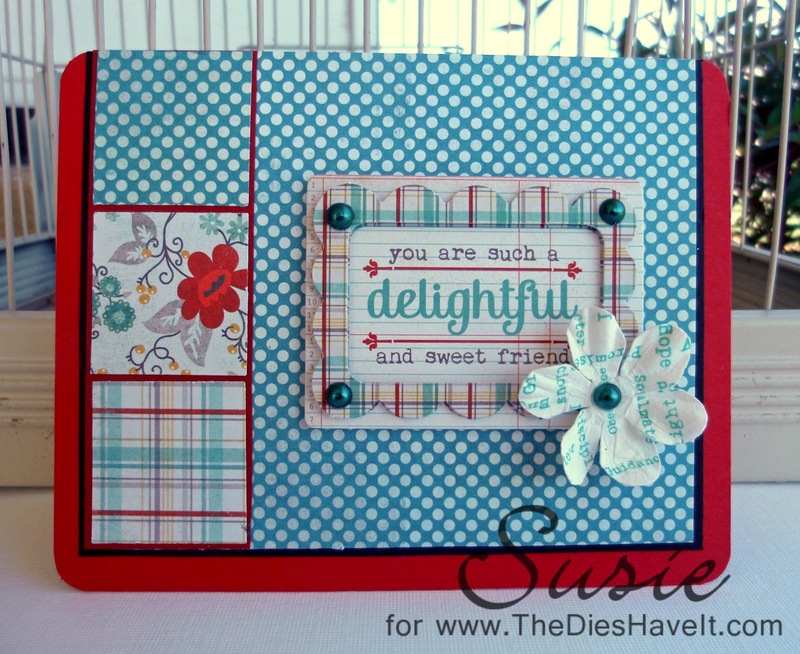 Today I wanted to show you a quick card I made from yesterday's project's scraps. Absolutely everything (including the bow and button) was sitting on my table waiting to be crafted into SOMETHING. So this is how it ended up. I think the zipper is a fun addition to the card. Sort of unexpected! Thanks for looking! The entire project is made from a huge die cut. Each of us were challenged to make one in our own style. When I found the quote, "We were made to find enjoyment", I knew I wanted to use pictures from a July 4th trip we took two years ago. The papers are from another MME Miss Carolyn collection. This one is called Dilly Dally. I can see a lot of boy-possibilities in this paper pad too. I colored her with Copic markersand paper pieced her little dress. 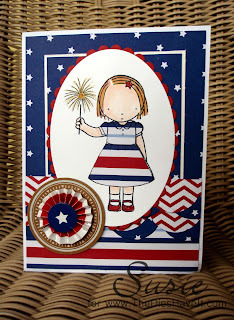 Her sparkler is highlighted with both gold and clear Spica markers. 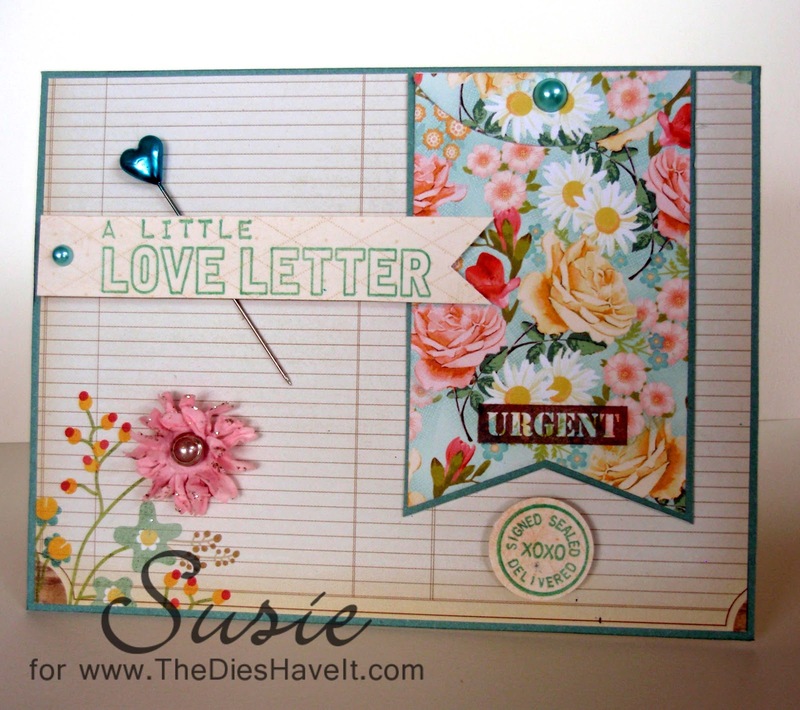 And isn't that a cute pre made embellishment? 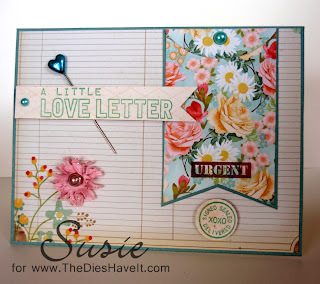 Today's card is just a simple little one using another new My Minds Eye 6x6 paper pad. 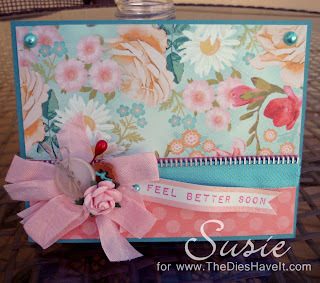 This one has more masculine colors....but still pretty enough for a girly girl card. This post is from Design Team Member Anita. 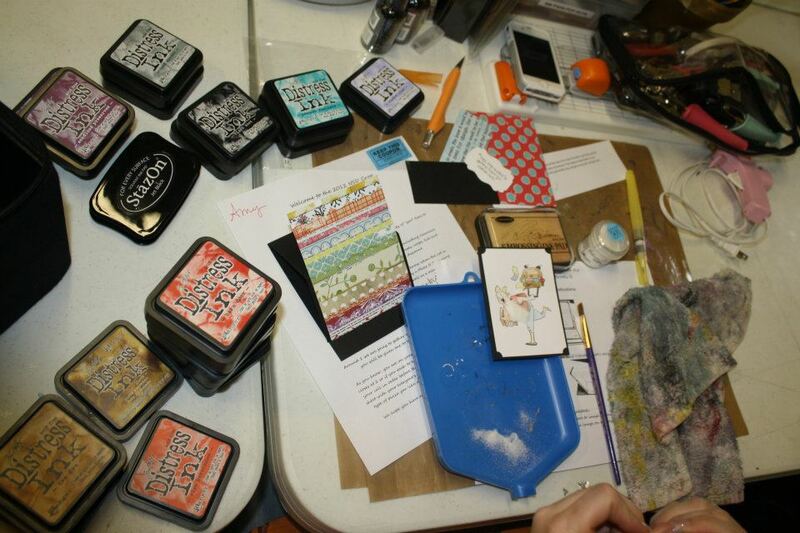 from The Crafty Scrapper - there is so much new product coming in!! photos with it so that the colors would shine. Tsukineko Inks, Thinkers, some random lace, KaiserKraft bling, Inka-Gold and some stuff from my stash. Since this layout is for someone else I have left the journaling blank. 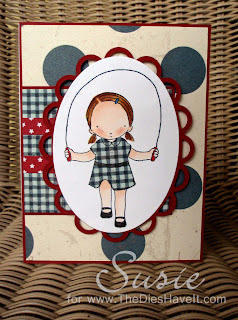 Here is a new little MFT Stamps cutie for you. My card is made of scraps from another project (that I will be showing you soon) and of course I had to use a small scrap to paper piece her dress. I just think she is super cute! 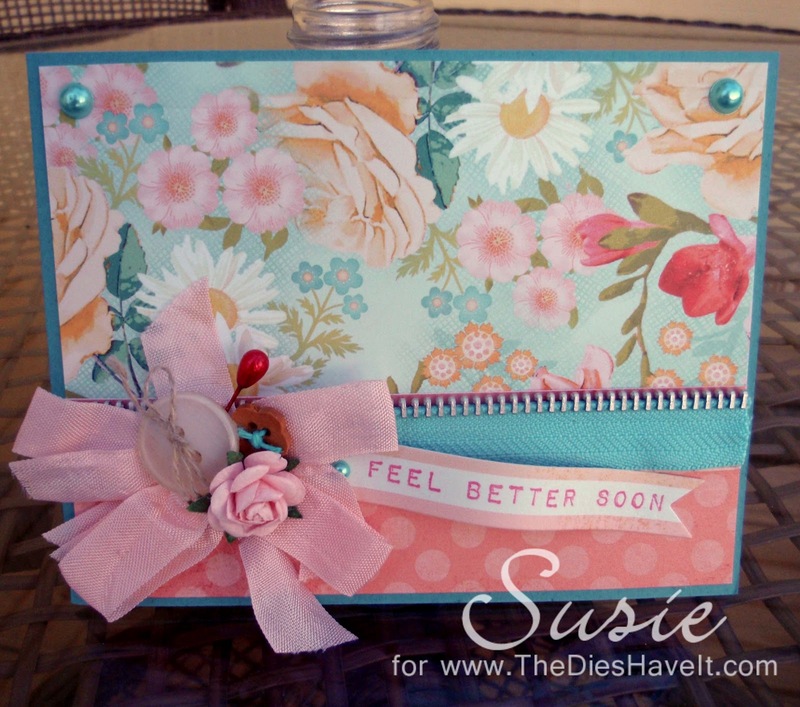 The only dies I used on this card were from Spellbinders. I find that many of these images fit perfectly in the oval shapes. 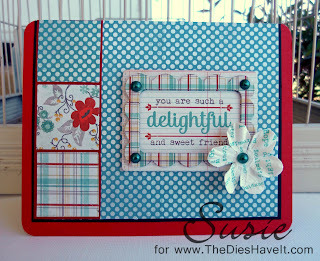 I try to make a card or two when I have scraps left over from a larger project. I wonder if you do that too or if you give your scraps away. I have a friend with whom I share scraps. So whether I use my scraps or give them away....they eventually get used up.